In the 64 years since its establishment, exports from Israel have grown by some 15,000%. In 1948, Israel exported $6 million worth of products, but by 2011, that number had jumped to about $90 billion – a rise of 1,400,000%. The per capita export rate – the amount of export in terms of population – was at the end of last year 173 times greater than it was in 1948. The statistics were released Thursday in honor of Independence Day by the Israel Export Institute. The Institute said that the raw figures regarding Israeli exports did not take into account inflation, the weakening of the dollar, and the tenfold increase in population in Israel since 1948. Still, taking all that into account, the Institute said, the per capita export rate was $11,500 in 2011 – a “phenomenal number” in and of itself, the group said – compared to $7 in 1948. 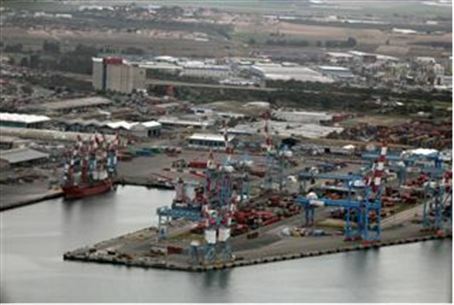 Exports have risen each year since 1948, except for five of those years – 1982, at the height of the First Lebanon War; 1988, when inflation in Israel was out of control; 1991, during the Gulf War; 2001, during the Second Intifada; and 2009, during the worldwide economic downturn. Since 1949, Israel has signed free trade agreements with 39 countries; the first was with Hungary, with that agreement signed January 12, 1949. The destination of Israeli exports has also changed significantly since the early days of the state. Between 1948 and 1970, Britain was Israel's chief overseas customer, with the U.S. in second place. After 1970, the U.S. became Israel's number one export market, a position it held until just recently, when the European Union countries edged the U.S. out as Israel's top export market. Within the EU, the current top markets are France, Germany, and Italy, while in the state's early days, Switzerland, Holland and the Scandinavian countries were Israel's best European customers. Currently in third place as an export market for Israel, perhaps surprisingly, is the Palestinian Authority. One of Israel's biggest markets in the 1970s was Iran, a market that has been completely eliminated over the past decades.